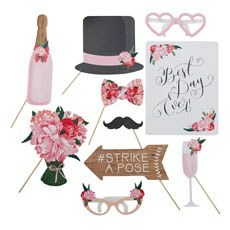 Games and activities add rip-roaring fun to any shower or party, and at Weddingstar, you can find a selection of classic crowd-pleasing activities. 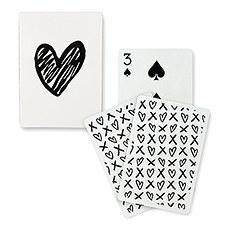 Spice things up with card games, trivia, photo activities and temporary tattoos.Card GamesTraditional engagement party game ideas often involve decks of playing cards. 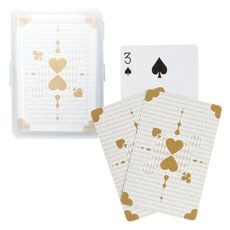 In fact, playing cards are among the most popular favors handed out to guests attending showers, parties and wedding receptions. 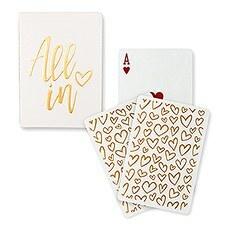 Select one or more card deck styles featuring charming graphics on one side and traditional letters and images on the other. 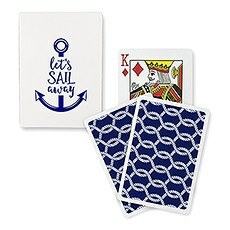 Create teams to play much-loved card games such as Go Fish, Doubting and Crazy Eights.Trivia GameStimulate conversations and intriguing debates with a portable trivia game set. 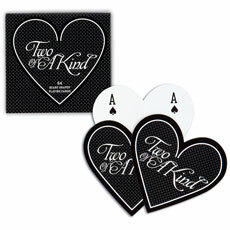 Many people are eager to play trivia just to test their lifetime's worth of accumulated knowledge. Players and observers also enjoy learning new things, and topic variety ensures a constant stream of informative entertainment. 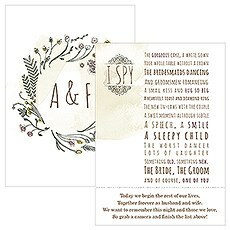 We highly recommend adding trivia to your mix of wedding party games. 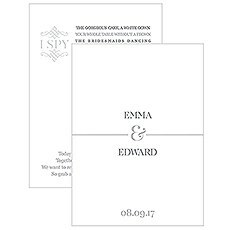 Our trivia set features an exquisitely rich design and includes enough starter cards for an hour or so of game play.Photo ActivitiesWhen it comes to choosing fun engagement party games and activities, any activity involving photos tends to be an instant hit. 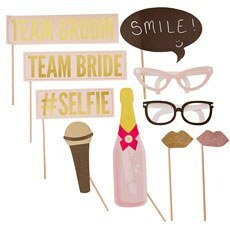 For many people, photos are fun to take and fun to look at, making this a double win for your party.Set up a photo booth station in a jiffy with our photo booth prop sets. 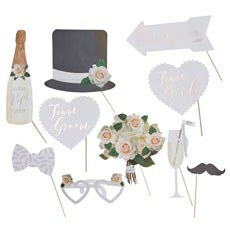 Whimsical props for enhancing photos are included with each set. 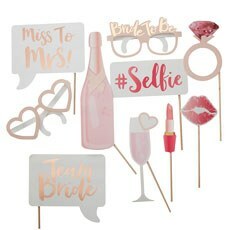 Find sets suitable for bachelorette parties, showers, anniversaries, holidays and wedding receptions.Interactive camera games such as "I Spy" are a classic party activity. 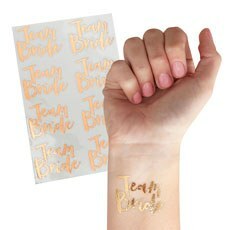 Create your own personalized cards to hand out to guests, directing them to snap clandestine photos to share at a website you set up.Temporary TattoosMention you have a temporary tattoo station at your party and watch a line quickly form to have tattoos applied to hands and arms. 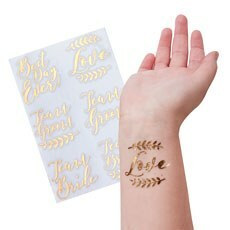 Each tattoo set comes with several designs and they're easy to apply and remove.